INTERSTELLAR TRAVELS Minus the corny effects and A-list actor lineup, Stargate dips into an Egypt-like world after cracking the code of an ancient gateway. 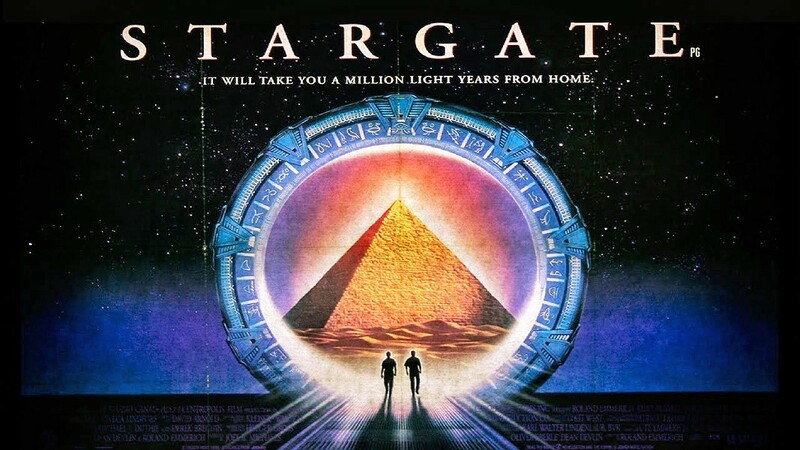 Stargate, directed by Roland Emmerich (best known for producing Godzilla in 1998), Independence Day (1996), and The Day After Tomorrow (2004), is about a modern-day Egypt that is ruled by the sun god Ra (Jay Davidson). Ra has left an interstellar gateway on Earth, which a professor, Daniel Jackson (James Spader), and retired Army Col. O'Neil (Kurt Russell) must figure out how to open in order to research the inhabitants of the other side, if any, and then seal the gate for good. Full disclosure: This was the first time that I had ever seen anything related to Stargate (there are three films and a TV series spanning from 1994 to 2008). I opted to start with the original film that kicked things off. I knew that Stargate existed but I never knew what it was about or thought twice about it. That being said, I thought the concept behind this film was a little random. I mean it's "modern-day Egypt" run by a sun god that is technologically advanced and is basically keeping slaves to make his pyramids. If he's that advanced, then why keep a whole village to himself, take away their right to communicate through reading and writing, and have them make his pyramids? Did I mention that the pyramid that Ra lives in also flies? It's just odd to combine these two concepts, but I'll get over that and continue this review. The films and the TV series that follow tell the story of a Stargate that's basically a bridge between the cosmos and the U.S. After being found on an archeological dig, the U.S. government (of course!) is in charge of keeping the gate under control. Or so they think. The real issue is how to activate it and figure out whether there is something on the other side. In comes kooky Egyptologist Jackson (Spader), who doesn't have any credibility or a dime to his name. He's recruited to a classified government group that's trying to crack the gate's code at a Colorado military base. Literally 24 hours into being at that base, Jackson reads the symbols and magically opens up the gate. This is the part where he meets O'Neil (Russell), who has some serious issues with guns after losing his son in an accident. Safe to say, O'Neil is retired and rightfully so, as the first scene shows him sitting in his son's room staring at a gun in his hands. But, of course, he puts his mental state aside because his country is calling and joins the special operation into the Stargate portal. O'Neil and Jackson team up with a couple of other soldiers to check out what's on the other side. Because Emmerich is the director of the film, I knew I couldn't expect much in terms of how the plot was executed. I feel like the story drags on for a while in the beginning, but there are a couple of action points that make the movie worthwhile. The build up to the gate just jumps into their exploration of the desert world—an abrupt jump-cut from one scene to another. Again, it's just a weirdly interesting concept of an advanced, modern Egypt. Spader's and Russell's deliveries of a geeky professor and a hardedge retired colonial are pretty dry. I don't know if it's the writing or their acting choices.